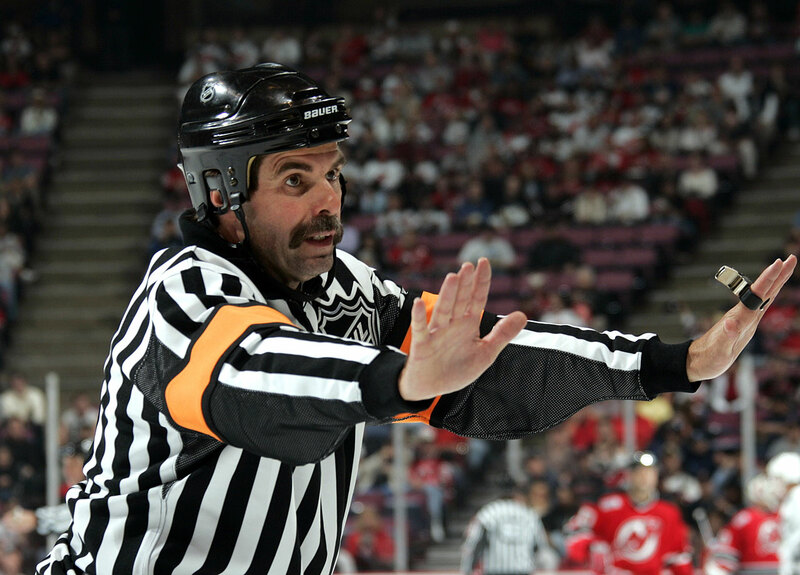 It's easy to make the case that the Hockey Hall of Fame’s Class of 2014—Rob Blake, Peter Forsberg, Dominik Hasek and Mike Modano, coach Pat Burns and referee Bill McCreary—is one of the greatest of all-time. The Hockey Hall of Fame will announce its latest class today at 4 p.m. and it's easy to make the case that last year’s—Rob Blake, Peter Forsberg, Dominik Hasek and Mike Modano, along with coach Pat Burns and referee Bill McCreary—ranks as one of the greatest of all-time. Take a look at their resumes. They were all winners. 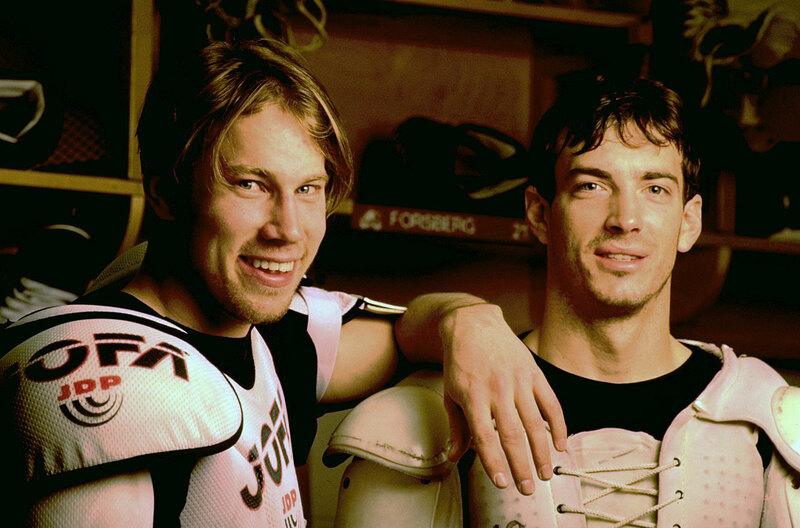 Forsberg (1996, 2001) and Hasek (2002, 2008) both contributed to a pair of Stanley Cup champions. Modano (1999), Blake (2001) and Burns (2003) each won once. Incredibly, McCreary worked all of those Cup finals, except for 2008, emblematic of his excellence among his peers. All tasted success internationally. Forsberg won Olympic gold in 1994 (scoring the legendary shootout goal that toppled Canada in the final) and 2006, along with a pair of World Championships (1992, 1998). Blake was part of the Canadian team that captured gold at Salt Lake City in 2002 and won two World Championships (1994, 1997). Hasek led the Czechs to a surprising gold medal at the 1998 Winter Games at Nagano, and Modano was part of the second greatest victory in American history, at the 1996 World Cup. McCreary officiated the Olympic gold medal games in 1998, 2002 and 2010. They shone individually as well. Hasek took home six Vezina Trophies, two Harts as league MVP (1997, 1998), six First Team All-Star berths and retired with the NHL's highest career save percentage (.922) to build a case for himself as the greatest goalie of all-time. Modano is arguably the greatest American-born player ever, the country's all-time leader in goals (561) and points (1,374). Forsberg was named rookie of the year in 1995 and later was honored as the NHL's MVP in 2003 after leading the league in scoring. He averaged 1.25 points per game, by far the highest rate among Swedish players to skate in the NHL. Blake claimed the Norris Trophy in 1998. Burns won the Jack Adams Award three times, and is the only man to earn it with three different teams—Montreal (1989), Toronto (1993) and Boston (1998). It's unfair to compare these six men to the inaugural 1945 class that included Georges Vezina, Art Ross, Howie Morenz and Hobey Baker among its 14 inductees. The class of 1947 might have been even better, with Eddie Shore, Dit Clapper, Aurel Joliat, Lester Patrick and Cyclone Taylor among its 13 members. Another banner class, 1961, was led by Rocket Richard, Syl Apps, Charlie Conacher, Hap Day, Georges Hainsworth and Milt Schmidt. And then there was the mass induction of 1962 that saw the Hall admit 34 new members who, for the most part, made their names in leagues that existed before the NHL. You can make the case that Lemieux was the most skilled athlete ever to play the game. He carried the Penguins to two Cups (1991, 1992) and was an integral part of championship squads at the 1987 Canada Cup, the 2002 Olympics and the 2004 World Cup of Hockey. He won three Hart trophies, six scoring titles and he ranks second all-time with a 0.754 goals-per-game average. Who knows how much more he would have done had he not missed three full seasons and significant chunks of six others due to Hodgkin's Disease as well as back and shoulder problems. Trottier was the top center for the Islanders dynasty, winning four Cups in New York and later two more in Pittsburgh. He claimed the Hart and Art Ross trophies in 1979 and posted six seasons of 100 points or more on the way to 524 goals and 1,425 points for his career. His +452 rating ranks ninth all-time. Sather coached five Edmonton teams to Stanley Cup championships and was the architect behind Team Canada's wins at the 1984 Canada Cup and the 1994 World Championships. During his 16 seasons in the NHL, The Dominator won six Vezina Trophies winner as top goalie, and the Hart in 1997 and 1998—the first netminder since Jacques Plante in 1962 to be named the league's MVP. In all he compiled a career record of 389-223-95 with a 2.20 GAA and a .902 save pct. that ranked No. 1 all-time when he retired in 2008. After coming frustratingly close with Buffalo in 1999, Hasek finally won Stanley Cups in Detroit in 2002 and 2008. He also also led the Czech Republic to the Olympic gold medal in 1998 at the Winter Games in Nagano, Japan. A first round draft pick by the Flyers in 1991, the rugged but highly skilled Forsberg played 14 seasons in the NHL, winning Rookie of the Year honors in 1995 and the Hart Trophy as MVP in 2003 after leading the league in scoring. 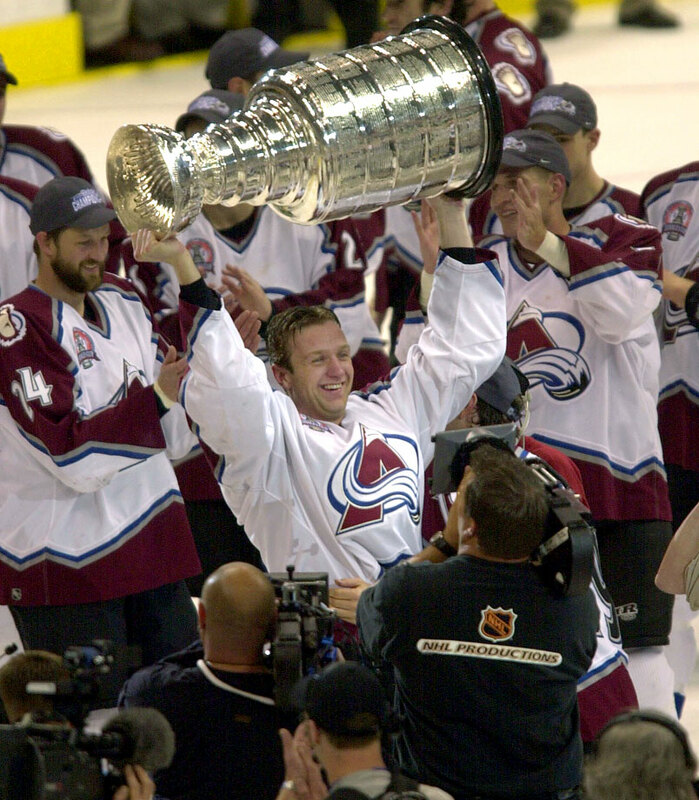 Forsberg and Joe Sakic were mainstays of Colorado's two Stanley Cup teams (1996, 2001). On the international stage, the man known as "Foppa" won gold at the 1992 and 1998 World Championships and became a national hero in his native Sweden after scoring the now legendary golden goal at the 1994 Winter Games in Lillehammer, Norway. 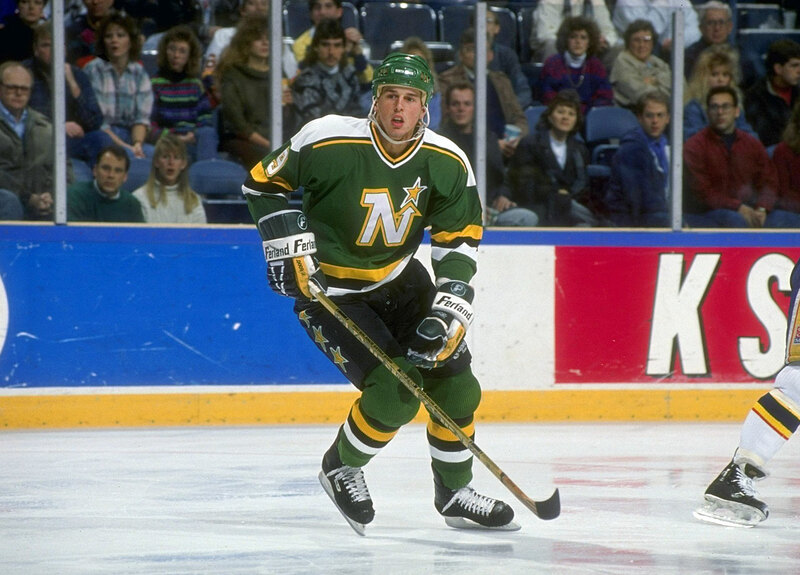 The first player chosen in the 1988 draft, Modano went on to become the face of the Minnesota North Stars/Dallas Stars franchise, with whom he played in 21 of his 22 NHL seasons. Arguably the finest U.S.-born player of all time, he now holds the NHL career marks for goals (561) and points (1,374) by an American. 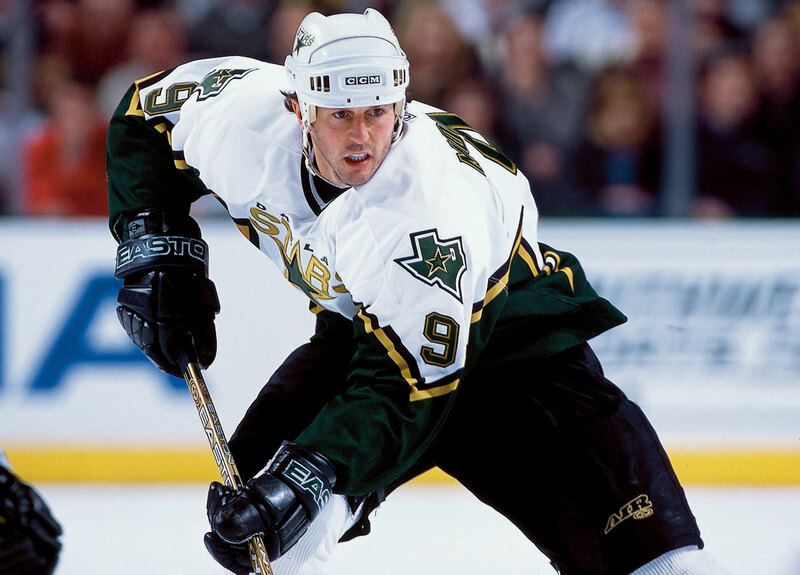 An Olympic silver medalist and seven-time NHL All-Star, Modano led the Dallas Stars to the franchise's lone Stanley Cup, in 1999. He retired in 2011 after posting nine seasons of 30 or more goals, including a 50-tally campaign in 1993-94. A superb offensive defenseman, Blake topped 40-point make 12 times during his 20 seasons in the NHL. 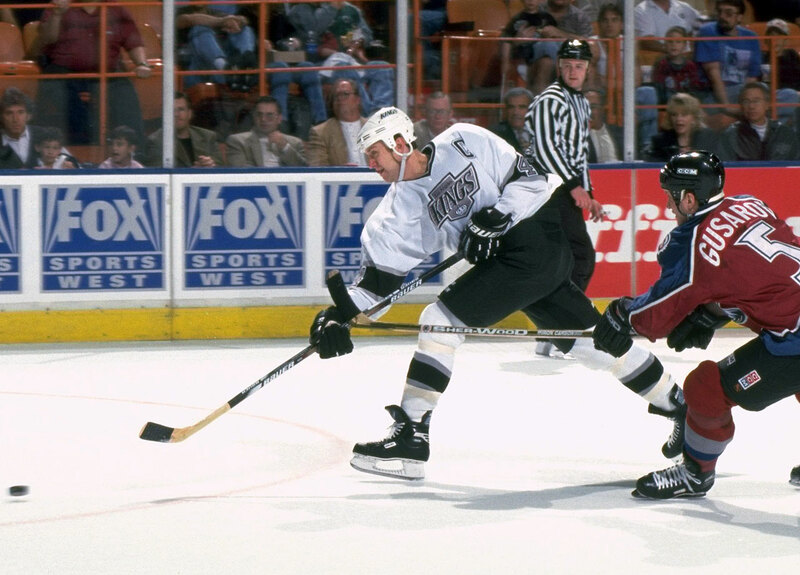 He also won the Norris Trophy as the league's best blue liner in 1998 as a member of the Kings, the team that drafted him in the fourth round (70th) of the 1988 draft. Blake belongs to international hockey's elite Triple Gold Club (it has only 11 members), winning a Stanley Cup (2001), Olympic gold medal (2002) and the World Championship (1994, 1997). During his 14 years behind NHL benches (1988-2004), Burns became the first, and so far only, coach to win the Jack Adams Award with three different teams (Montreal, 1989; Toronto, 1993; and Boston, 1998). He also won the Stanley Cup with the Devils in 2003, and retired with a career .573 winning percentage. He passed away on Nov. 19, 2010 after a battle with cancer. McCreary officiated 1,700 regular season and 297 playoff games from Nov. 1984 to April 2011. His impeccable reputation earned him the right to work 15 Stanley Cup finals as well as the 1998, 2002 and 2010 Winter Olympics, including the gold medal games at all three. Hull was the greatest sniper of his era, notching 741 goals, including 86 in 1990-91, the most by any player other than Wayne Gretzky. He won the 1999 Stanley Cup with the Dallas Stars and the Red Wings in 2002, the 1996 World Cup with Team USA and the Hart Trophy with the Blues in 1991. Leetch was a two-time Norris winner and the first American-born player to capture the Conn Smythe (1994). He racked up 102 points in 1990-91, making him one of just five defenders to top the century mark. Robitaille tallied more than 40 goals in each of his first eight seasons on the way to becoming the highest-scoring left winger in NHL history (668 goals, 1,394 points). He won the Cup with Detroit in 2002 alongside Yzerman, who is arguably the greatest player in Red Wings history not named Gordie Howe. Yzerman, who served as the captain in Detroit for two decades, won two other Cups as well (1997, 1998). His 155-point season in 1988-89 was the most by any player not named Gretzky or Lemieux and his 1,755 career points rank seventh all-time. Lamoriello built a sad sack New Jersey club into a perennial Cup contender, claiming the old mug three times (1995, 2000 and 2003). He also served as GM of Team USA for the 1996 World Cup of Hockey. Francis, a two-time Cup winner, currently sits in fourth on the NHL's all-time scoring list with 1,798 points. He also ranks second in assists (1,249) and third in games played (1,731). MacInnis won a Stanley Cup (1989) and Olympic gold (2002) and was just the sixth defenseman in history to top 1,000 career points. Messier won two Hart trophies and claimed six Stanley Cups, capped by an unforgettable run with the New York Rangers in 1994. His 1,887 regular season points rank second all-time to Wayne Gretzky's 2,857 and he trails only Howe in games played (1,756). 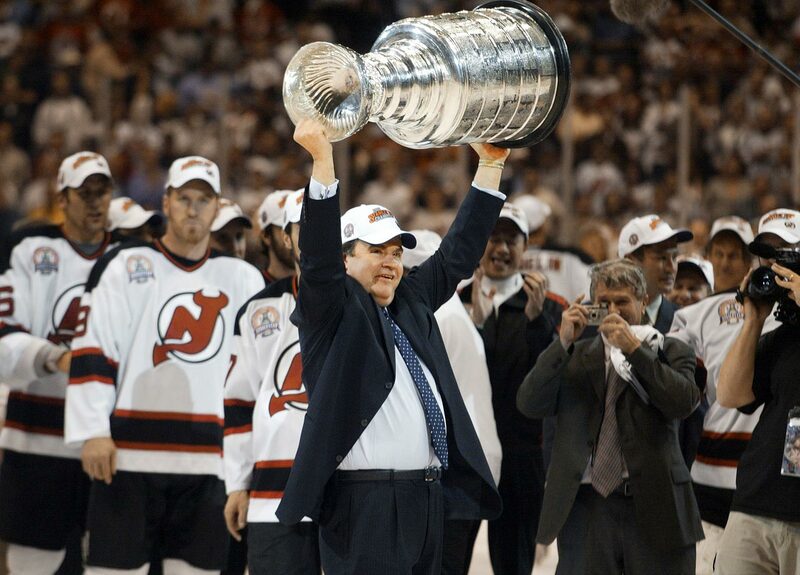 Stevens captained the New Jersey Devils to three Cups and took home the Conn Smythe in 2000. Only one defenseman (Chris Chelios) played more games than his 1,635. Gregory was a top coach/GM at the major junior level, winning two Memorial Cups (1964, 1967) with the Toronto Marlboros and later taking over as GM of the Maple Leafs for 10 seasons (1969-1979), during which they made the playoffs eight times. An early advocate for European players, Gregory later became the director of Central Scouting and the NHL's VP of hockey operations, overseeing the introduction of goal reviews. When you're talking greatest goalie of all-time, Dryden has to be in the conversation. He captured six Cups with Montreal during his too-brief eight-year career, along with five Vezinas, a Calder and a Conn Smythe. Hull, one of the greatest snipers in history, compiled nine seasons of 50 goals or more in the NHL and WHA. He retired with 913 pro goals and 1,808 points. He also won a Stanley Cup with Chicago, three Avco Cups with Winnipeg, three Art Ross Trophies and two Harts. Mikita was perhaps the most dangerous center of the 1960s, leading the league in scoring four times, twice winning the MVP and being named All-Star First Team center six times. Sinden piloted the powerhouse Boston Bruins to a pair of Stanley Cups and went 3-1 in Moscow to lead Team Canada to victory in the 1972 Summit Series.